You know we love our giveaways. And this time even WE want to enter!! 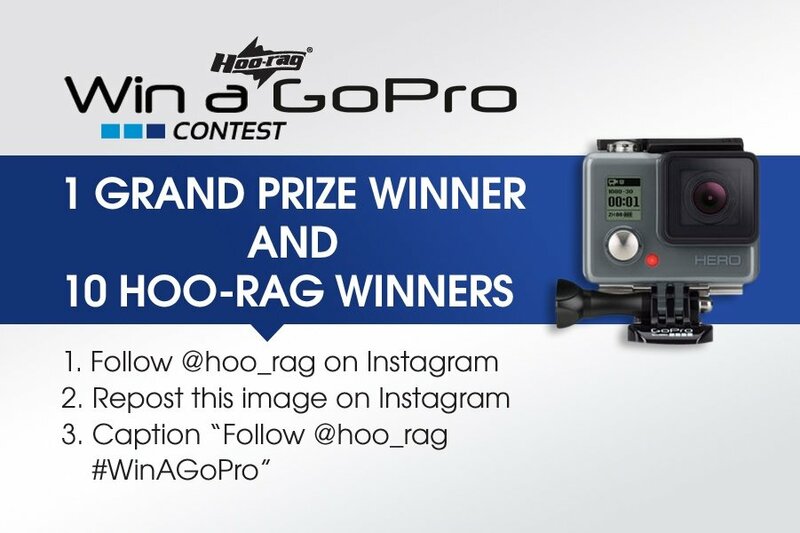 We’re giving away a grand prize of a GoPro Hero, headstrap mount, 32GB memory card and 5 Hoo-rags! We will also be awarding ten runner-ups who will each win a Hoo-rag of choice. We will be announcing winners on our blog and Instagram Monday 8/3. You can enter once a day. Please be aware that your profile must be public for us to see your entry. Previous post: Get Your Free Hoo-rag Floating Keychain!